Throughout the course of just a few weeks, Ruthie is making trips across three different continents! With a busy summer ahead, click here to find a show near you. On February 27th, Ruthie was inducted into the Austin Music Awards’ Texas Music Hall of Fame. She was unable to attend as she was on the Keeping the Blues Alive at Sea cruise, but her label manager and friend Denby Auble accepted on her behalf. Ruthie’s drummer, Brannen Temple won the drums/percussion category as well. Click here for the full awards list. 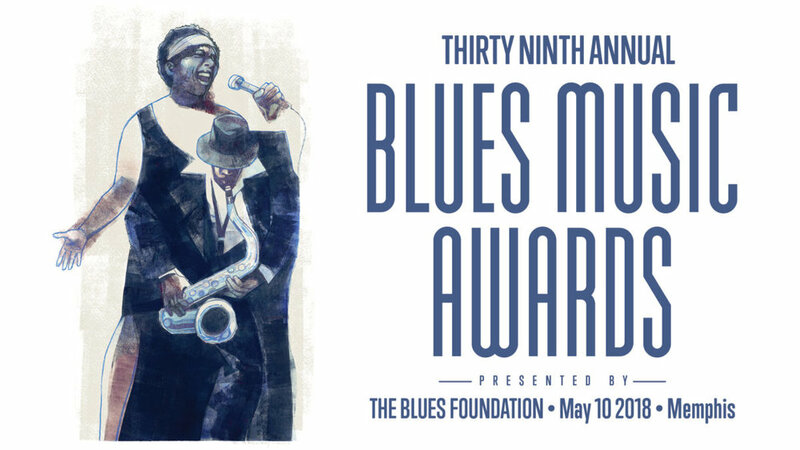 Ruthie is very honored to be nominated again for The Blues Foundation's Koko Taylor Award (Best Traditional Blues Female Artist). If you are a Blues Foundation member and would like to vote for Ruthie, voting closes at the end of February. Click here to vote. Ruthie Foster brought the house down with her take on Ray Charles' classic "Georgia on My Mind" at the Austin City Limits Hall of Fame New Year's Special 2018 on PBS. Click the video above to enjoy! Be sure to tune into PBS on New Years Eve to catch Ruthie alongside Gary Clark Jr. on a special Austin City Limits program! For more info, check out the Rolling Stone’s preview of the show here. Ruthie has been nominated for the Texas Music Hall of Fame, alongside many other great Texan acts. For more info click the image above, and to cast your vote, click HERE. Ruthie is honored to be included as a featured performer at this year's Austin City Limits Hall of Fame induction ceremony, which includes inductions for Marcia Ball, Ray Charles, and Los Lobos. For more info, click here. Ruthie is featured in BRIC Celebrate Brooklyn Festival’s artist interview series, where she talks a bit about her craft and some of her favorite things. Click here to watch! Take a look as Ruthie performs and talks through several aspects of her career dating back to the very beginning. Join Ruthie, Eric Nadel, and Seth Walker in Havana for the trip of a lifetime, February 6-12, 2019! For a full look at the itinerary for this action-packed trip, including the perfect blend of music, sports, and tourism, click here! VOTE FOR RUTHIE IN THE LIVING BLUES AWARDS! Ruthie is honored to be nominated yet again for TWO Living Blues awards! Make sure to get your votes in for 'Female Blues Artist of the Year' and 'Best Live Performer' before the deadline on July 15th. Click here to vote. Join Ruthie at one of the many festivals she's playing this summer! The festival season kicked off in New Orleans at Jazz Fest (pictured above). Looking forward into June, you can see Ruthie at Quebec's Festival Des Guitares Du Monde or on the west coast at Waterfront Blues Fest and High Sierra Music Fest. Later in the summer, Ruthie makes her way to several festivals across Europe and Canada! Find the full list of dates here. Ruthie is the winner of The Blues Foundation's Koko Taylor Award for Traditional Blues Female Artist! For more info, click the picture above! RUTHIE'S PERFORMANCE AT CARNEGIE HALL LEAVES CRITICS SAYING SHE "CAN’T COME BACK SOON ENOUGH"
Following a very successful show with the North Mississippi Allstars at Carnegie Hall's 'Zankel Hall,' ZealNYC writer Christopher Johnson highlights Ruthie's performance where "she commands a stage as completely as Judy Garland or Janis Joplin did, but with unfailing grace and good cheer." Click here to read the full article. For consecutive years, Ruthie Foster has been nominated for multiple Blues Music awards. This year, she is nominated alongside artists Annika Chambers, Diunna Greenleaf, Janiva Magness, and Miss Freddye for both the 'Traditional Blues Female Artist' award and the Koko Taylor Award. The winners will be announced on May 10th in Memphis at the 39th annual ceremony. To see all of the nominations, click the image above. No Depression's staff narrowed down their top picks from 2017 to a shortlist - which includes Ruthie's Joy Comes Back! Here's what they had to say about the album: "Ruthie Foster sings joyously of love, healing, and hope in this collection of down-to-the-bone soul songs" - for the full article, click HERE. Gary Stoller, writer for 'No Depression,' takes a look at the connections and collaborations that led to Ruthie's most recent album, 'Joy Comes Back.' He mentions that the songs are "creative, warm, and flow smoothly from track to track." Take a look at this insightful article by clicking HERE. The 'Harvey Can't Mess with Texas' benefit concert raised millions of dollars to support relief efforts for those affected by Hurricane Harvey. Ruthie was featured, alongside Bonnie Raitt, in the show which was headlined by acts such as Willie Nelson, Paul Simon, James Taylor, Leon Bridges, and Lyle Lovett. Ruthie's performance was mentioned as one of the "greatest moments" of the evening in THIS article. As a part of Amazon's original playlist series, the playlist Open Road is intended for those looking to "hit the road with new takes on classic tunes." Check out Ruthie's cover - Smokey Robinson's Cruisin' - from the playlist HERE. Ruthie is ecstatic to be nominated for two Living Blues Magazine awards this year. Be sure to vote for Ruthie for both "Best Female Blues Artist" and "Best Live Performer." CLICK HERE or on the picture to vote! Voting closes July 15. You can watch her live performance HERE. In case you missed it, you can watch Ruthie's Mountain Stage performance HERE. Make sure to check out the interview for NPR's Songs We Love here. Three-time Grammy Nominee, Ruthie Foster, transforms sorrow into career-defining soul/blues/gospel/rock opus, Joy Comes Back, releasing March 24th on Blue Corn Records. To find out more about The Door and how they help the youth of NYC, click here. At the end of August Ruthie will go on a musical adventure through Cuba with Seth Walker and YOU can be a part of it. There aren't many spots left but if you want to grab one of the last ones available, click here. Ruthie recently played the Strawberry Festival in Jamestown, CA along with the the Triple Door in Seattle, WA and Sisters Folk Fest in Sisters, OR. She also has some exciting dates in the Northeast coming up, including: Naked Soul in NYC, FreshGrass outside of Boston, MA, and Levon Helm's Studio in upstate New York! Check out the tour dates page to see if she's coming to a town near you soon. Ruthie and the band just got back from another successful run through Europe! They performed in Italy, Spain, and Germany while in Europe and captured some awesome shots along the way. Ruthie has been nominated for TWO Living Blues Awards this year: Blues Artist of the Year (Female) and Best Live Performer. Make sure to vote for her by going to http://www.livingblues.com/ and hitting the "Vote" button! Ruthie is gearing up for her summer 2016 European tour, which features some great festivals and has her playing with some great people - Buddy Guy, Taj Mahal and Keb Mo- plus a lot of dates in Italy and the band's first trip ever to the Canary Islands! Ruthie won the Koko Taylor award for the 6th year in a row. The award is given out at the The Blues Music Awards. Ruthie had the pleasure of performing during the awards (pictured above). ©2016 Ruthie Foster. All Rights Reserved.